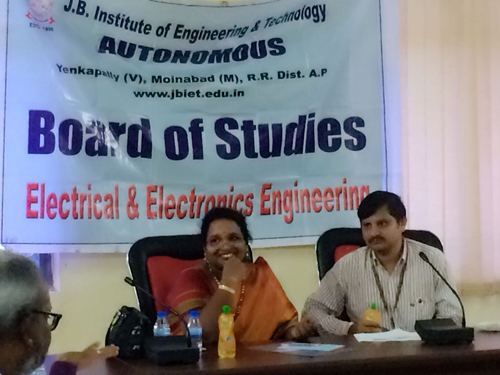 The Department of Electrical and Electronics Engineering at J.B Institute of Engineering and technology was established in the academic year 1998-99 with an intake of 60 Students and the first 14 batches of EEE Students have completed the four years of academic program successfully. 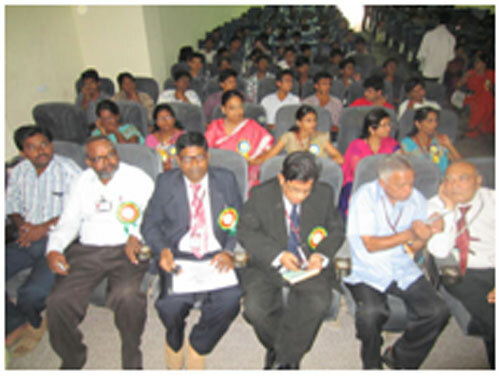 From the academic year 2007-2008 the intake of B.Tech was increased from 60 to 120. 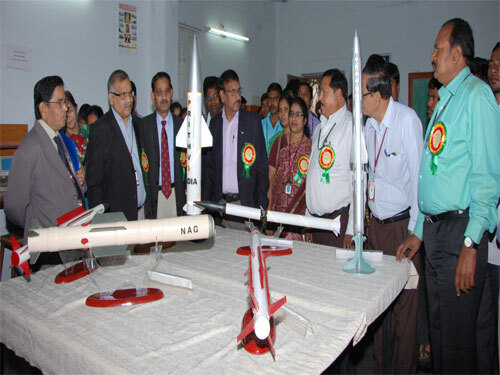 The Department is fully established with excellent laboratories and competent staff. The departmental library has 250 volumes of national & International Journals. 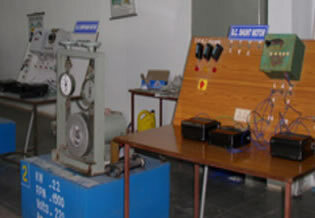 The M.Tech program in electrical power system was introduced in the academic year 2004-05 with an intake of 18 students. 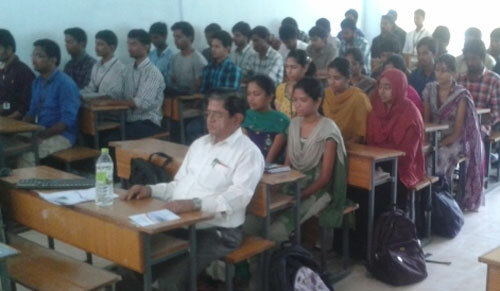 The M.Tech program in Energy Systems was introduced in the academic year 2013-14 with an intake of 18 students. To be a centre for imparting qualitative education and to provide the state of art center for advance study and research in the field of Electrical and Electronic Engineering. I) To prepare students resolve complex problems in core areas of Electrical and Electronics Engineering, make way for sustainable technology for national construction and public utility. II) To guide students involved to showcase their talents for resolving societal issues with expertise in Electrical and Electronics Engineering. III) To foster knowledge to evaluate, design develops with indigenous technology in multidisciplinary areas for research and development. To create better entrepreneurs in the area of Information Technology and core branches. Research is being done on the 100KW Solar Power Plant, which is installed in the College. 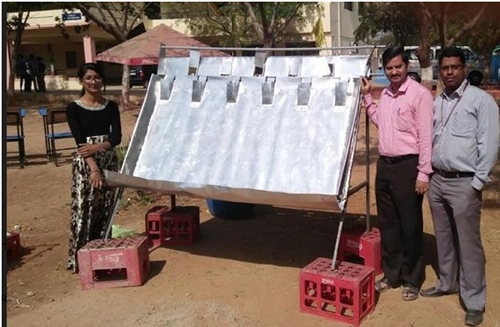 To encourage research activates in the Department, a committee under Dr. P V Raj Gopal is working in Renewable Energy Sources by monitoring the Solar Power Plant. 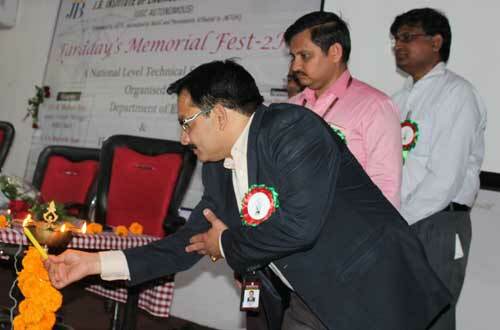 Mr. Shyam Sharma senior faculty –T.I.M.E. 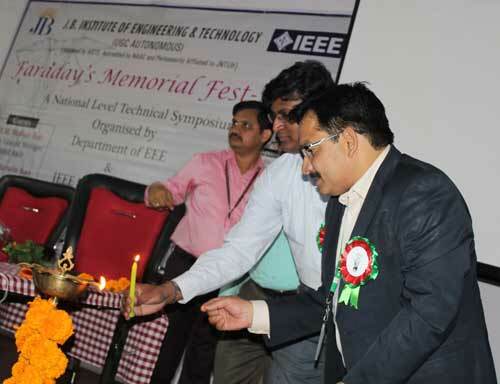 “A TWO-DAY national (FARADAY’S memorial) work shop on Recent advances on power electronics and power systems ". 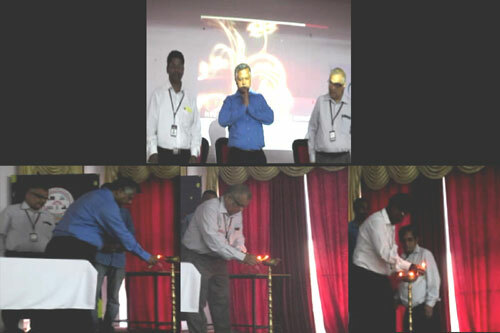 Mr.Biswajeet Mukherjee – Vice President – PG / GI ABB India Limited. 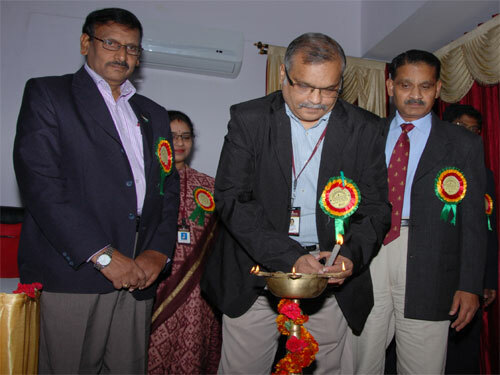 Mr. Virender Kumar Vohra – Superintending Engineer OMC Metro, Hyderabad TS Tranco. 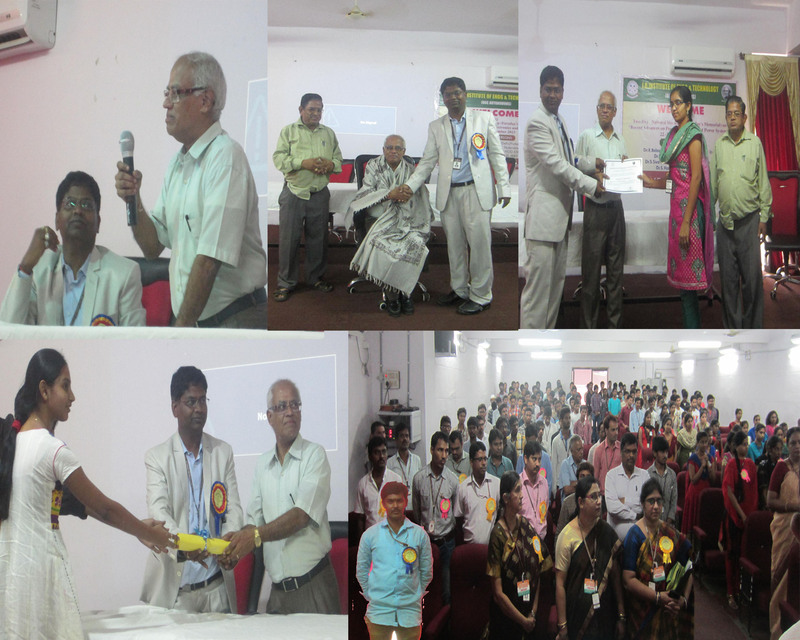 “A TWO-DAY national(Faradays memorial)work shop on Recent advances on power electronics and power systems ". 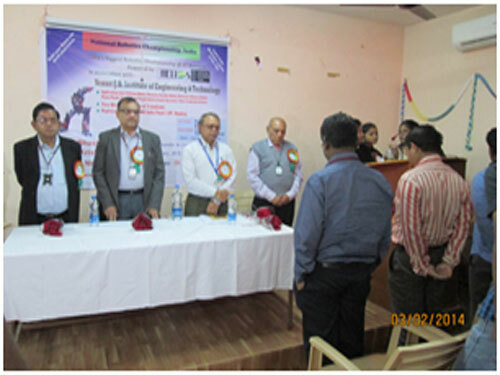 Two Day National Symposium On “ENGINEERING” RESEARCH IN DEFENCE INDUSTRY-ERDI 2K14. 1.Dr. 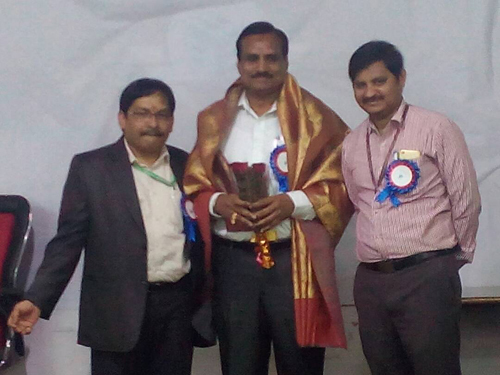 Suresh Babu, EEE Dept, CBIT. 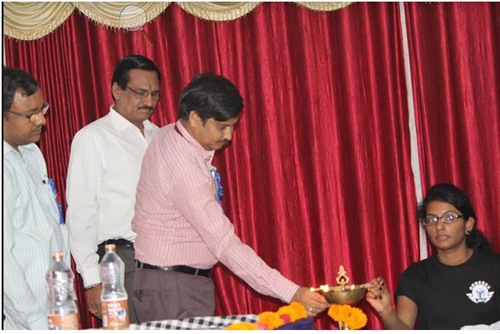 National level Mat lab Workshop. 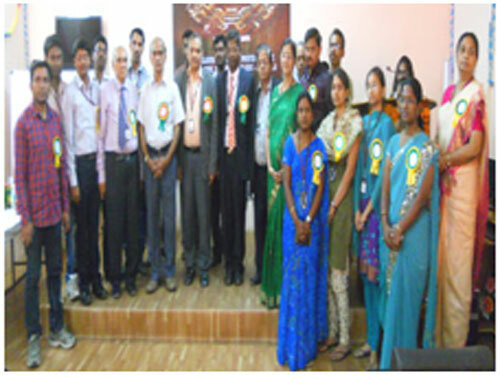 Mr R Sursh Babu, Associate Professor & HOD EEE has published the following papers. Application of SMES Technology in Modern Power System for Improving Power Quality. (INSETR) ISSN No: 2319-8885 Vol No: 05, Issue No 34, Oct 2016. 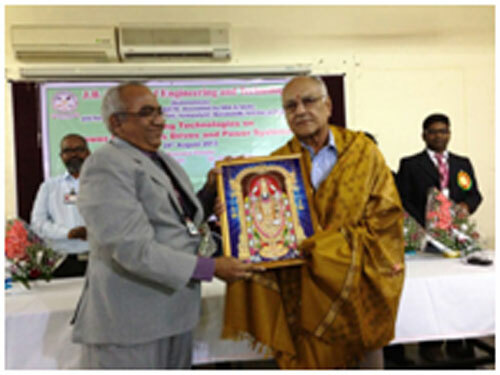 TS Sastry, Associate Professor has published the following papers. UPQC for Power Quality Improvement of Induction Motor Drive with Reduced DC Link Voltage, ISSN: 2248-9622 Vol 3, Issue 6. 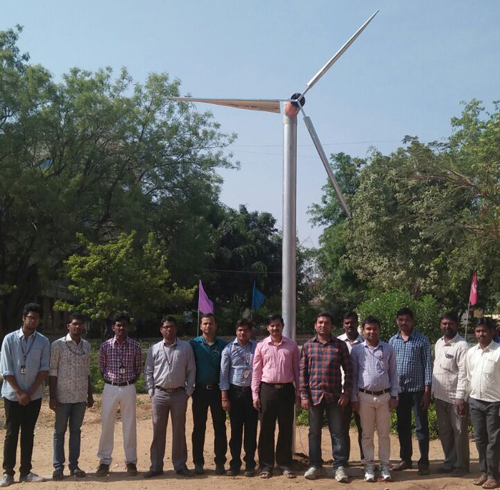 Power Quality Improvement for gird Connected wind driven Induction Generator By using STATCOM based control scheme ISSN No. 2348-4845 Vol 1 Issue No. 11 November 2014. Design and Analysis of Multi Level D-STATCOM to improve the Power Quality ISSN: 2248-9622 Vol. 4 Issue 1 (Version 2), January 2014. Mrs. Jyoti Agrawal , Associate Professor has published the following papers. 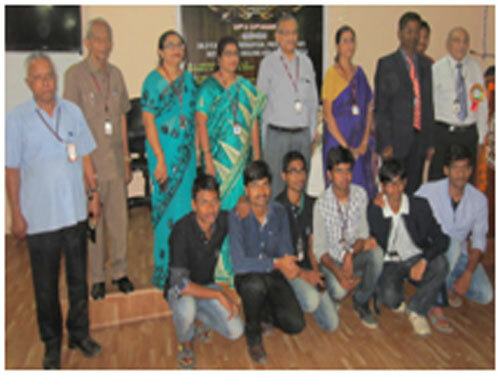 Sanjay Bodkhe, Mohan Aware , Jagdish Chaudhari and Jyoti Agrawal, “Speed estimator for induction motor drive based on synchronous speed tracking,” Sadhana - Academy Proceedings in Engineering Science, Indian Academy of Sciences & Springer, Vol. 40, Issue 6, pp. 1241–1256, June 2015 (SCI Indexed). Jyoti Agrawal and Sanjay Bodkhe, “Steady-State Analysis and Comparison of Control Strategies for PMSM,” Modelling and Simulation in Engineering, Hindawi Publication Corp., Vol. 2015, pp. 1–11, December 2015 (SCOPUS & IET Inspec Indexed). Jyoti Agrawal and Sanjay Bodkhe, “Experimental Study of Low Speed Sensorless Control of PMSM Drive Using High Frequency Signal Injection,” Advances in Electrical and Electronic Engineering, Vol. 14 Issue 1, pp. 28-39, March 2016, (SCOPUS Indexed). 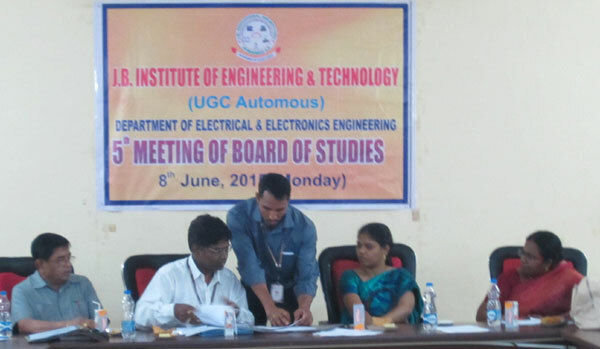 Jyoti Agrawal and Sanjay Bodkhe, “Modelling and Simulation of a Torque Controlled Permanent Magnet Synchronous Motor Drive,” International Journal of Engineering Research & Technology, ESRSA Publication, Vol. 3 Issue 3, pp. 2098-2106, March 2014. 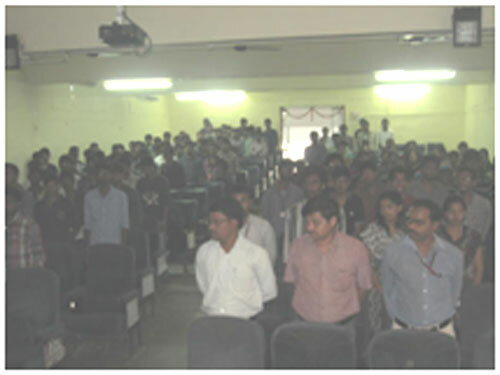 Jyoti Agrawal and Sanjay Bodkhe, “Sensorless Permanent Synchronous Motor Drive: A Review,” International Journal of Computer Application, Foundation of Computer Science, USA, pp. 1-6, 2013. 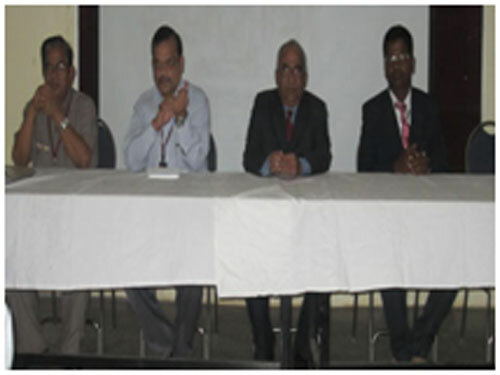 Jyoti Agrawal, K. D. Joshi and Dr. V. K. Chandrakar, “Experimental Study of Thyristor Controlled Reactor(TCR) and GTO Controlled Series Capacitor(GCSC),” International Journal of Engineering Science and Technology, Vol. 3 Issue 6, pp. 4824-4832, June 2011. Jyoti Agrawal and S. B. Bodkhe, “Hardware Implementation of Sensorless SMPMSM Drive for Wide Speeds Using Modified MRAS and DC Link Quantities based on dsPIC33E DSC” 18th IEEE Int. Conf. on Electrical Machines and Systems (ICEMS), Pattaya City, Thailand, pp 7-13, 25-28 October 2015. Jyoti Agrawal and S. B. Bodkhe, “Low Speed Sensorless Control of PMSM Drive Using High Frequency Signal Injection” 12th IEEE India Int. Conf. INDICON 2015, New Delhi, India, pp 1-6, 17-20 December 2015. Jyoti Agrawal and S. B. Bodkhe, “Functional Modeling and Simulation of Inverter Fed Permanent Magnet Synchronous Motor Drive” IEEE Int. Conf. 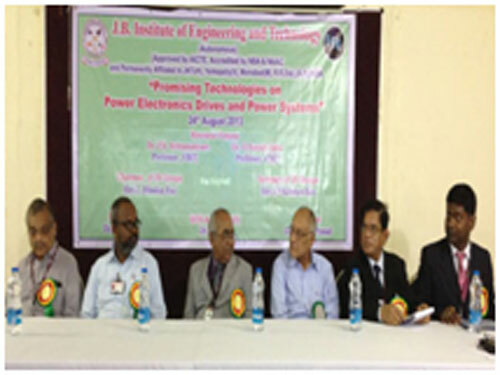 Magnetics, Machines & Drives (AICERA-2014 iCMMD), Kanjirapally, India, pp 1-6, 24-26 July, 2014. 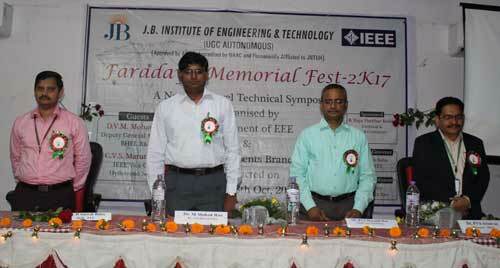 Jyoti Agrawal and K. D. Joshi, “Experimental Study of Some Variable Impedance Type FACTS Devices” 4th IEEE Int. Conf. 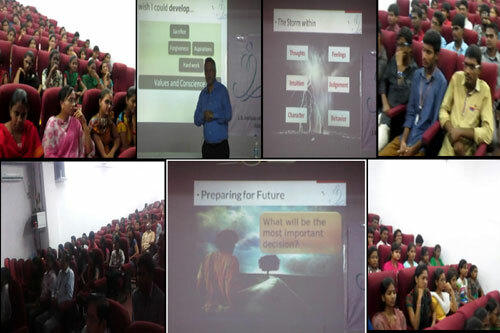 Emerging Trends in Engg. & Tech. (ICETET), Port Louis, pp 164-167, 18-20 November 2011. Jyoti Agrawal, “Trends in Sensorless Permanent Magnet Synchronous Motor Drive,” National Conference on Innovative Paradigms in Engineering & Technology NCIPET-2013, Nagpur, India, February 17, 2013. 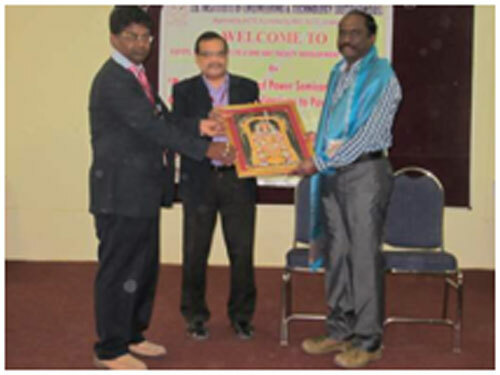 Jyoti Agrawal and Dr. S. B. Bodkhe, “Speed Sensorless Permanent Magnet Synchronous Motor Drive: A Review,” National Conference on Green Power & Energy: A Step Towards Better Future, Nagpur, India, November 30- December 1, 2012. Jyoti Agrawal and K. D. Joshi, “Experimental Study of Thyristor Controlled Reactor,” National Conference, RGI-TRPCS-11, Nagpur, India, February 28- March 1, 2011. M Vinod Kumar, Assistant Professor has published the following papers. Title Of The Paper Simplified control of solar PV inverter fed to GRID for active and reactive power control during Day and Night ISSN No:2395-4396 Vol, 2 Issue 1, 2016. Modeling and simulation of single Phase Grid Tued PV System ISSN No:2319-8885 Vol 5, Issue 34 Oct 2016. Control of solar PV-Inverter to gird for Active and Reactive power control during day and night. International journal of advance research and innovative ideas in education ISSN No: 2395-4396 Volume 2. Issue 5 2016. A three phase UPS system operating under non linear loads with modified SPWM controller. 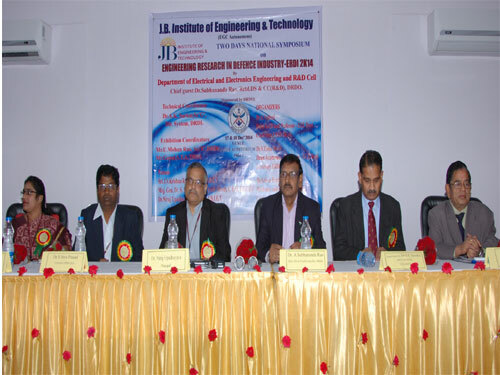 International journal of advance engineering and research development. ISSN No: 2348-4470. Volume. 2 Issue 9. Oct 2015. A five level space vector pulse with amplitude modulation for a buck-boost voltage source inverter. International journal of innovative science, Engineering & Technology ISSN No: 2348-7968 Volume 2. Issue 12. Dec 2015. Transient performance improvement of gird connected wind turbines with Doubly fed induction Generators using DC Resistive fault Current Limiter. International journal & Magazine of Engineering, Technology and Research ISSN No: 2348-4845. Volume 3. Issue 4. April 2016. TCSC based hybrid Series Capacitive Compensation for Enhancement of power system dynamics. 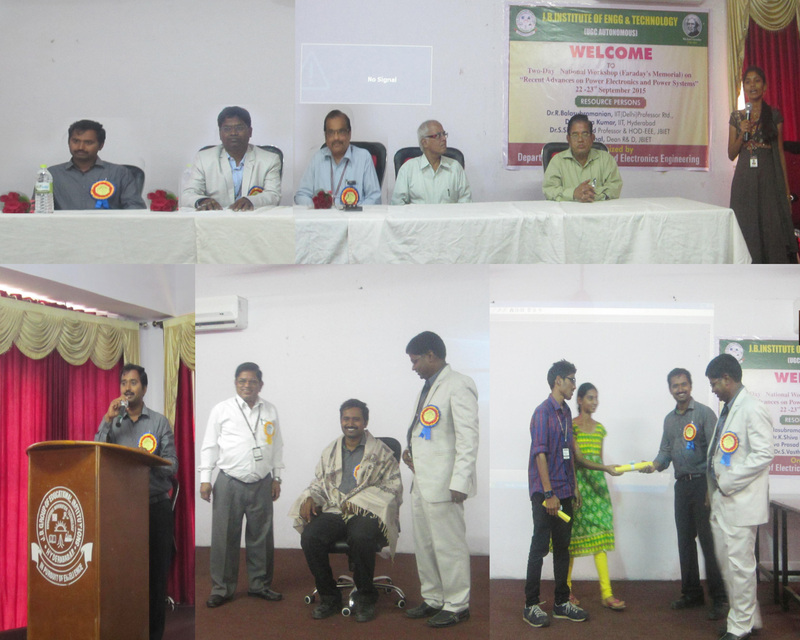 National Conference on AIETM March 2014..
Enhancement of Transient performance of SMIBS using TCBR. National Conference NCETESE Jan 2014. 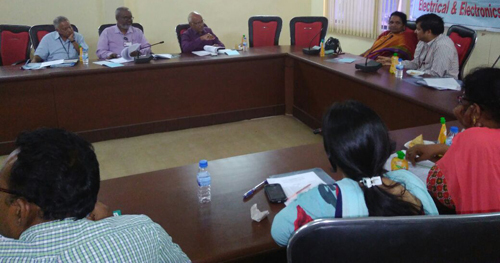 P Venubabu, Assistant Professor has published the following papers. A Shiva Rama Krishna, Assistant Professor has published the following paper. Movement patterns of Metallic Particles in a single Phase gas insulated busduct with superimposed lighting and switching impulses. DS Veeranna, Assistant Professor has published the following paper. Fuzzy logic based reconfigurable solar converter with a single-Stage Power Conversion PV-Battery System. International Journal of Scientific Engineering and Technology. ISSN No: 2319-8885. Nov 2014. 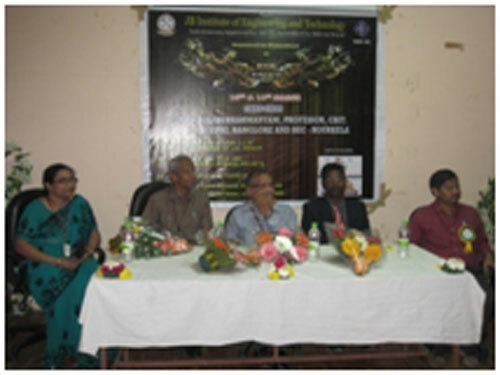 Ms R.Keerthi, Assistant Professor has published the following paper. 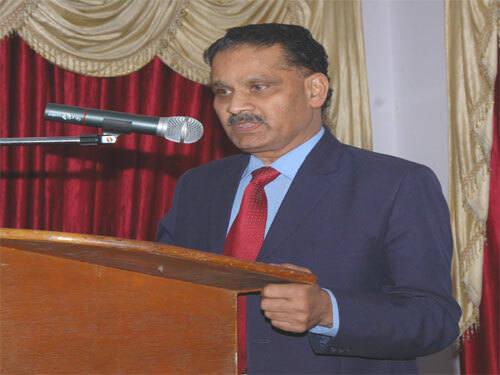 Mr. B.Chandra Singh, Assistant Professor has published the following papers. Improved Active Power Filter Performance for Renewable Power Generation Systems using SVPWM. 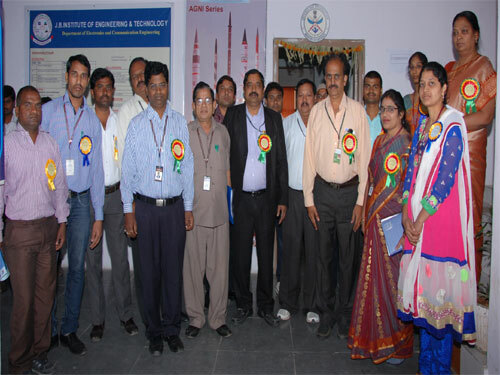 Global Journal Of Advanced Engineering Technologies. Vol No: 4, Issue No 4. Date 8th Sep 2015. 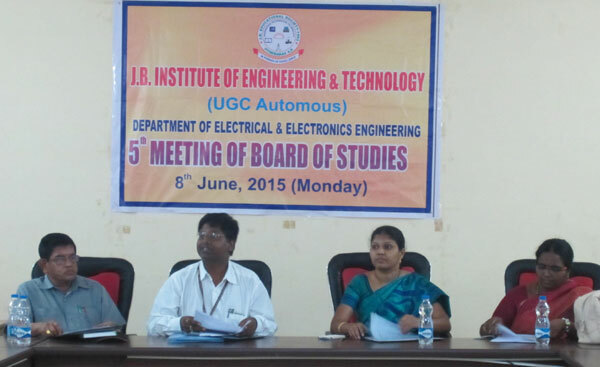 K Giri Babu, Assistant Professor has published the following papers. Modeling and simulation of imoproved power quality using PV system integrated with GRID ISSN No:2319-8885 Vol, 5 Issue 32. Oct 2016. G Upendra Rao, Assistant Professor has published the following papers. 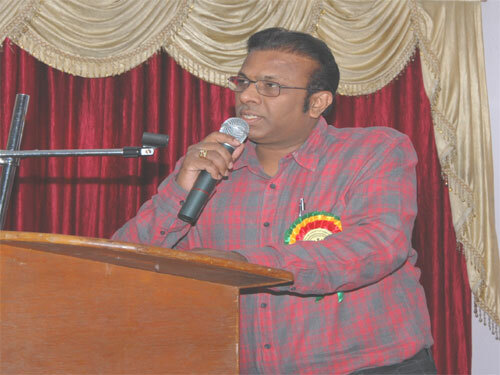 G Raja Sekhar, Assistant Professor has published the following papers. Published a paper on “Heat Transfer of Nano Fluids in an Inclined Channel under Magnetic Field with Heat Source/Sink” International Journal of Electrical & Electronics Engineering, Vol.2 Issue 3 March 2015. (Impact Factor 1.06). 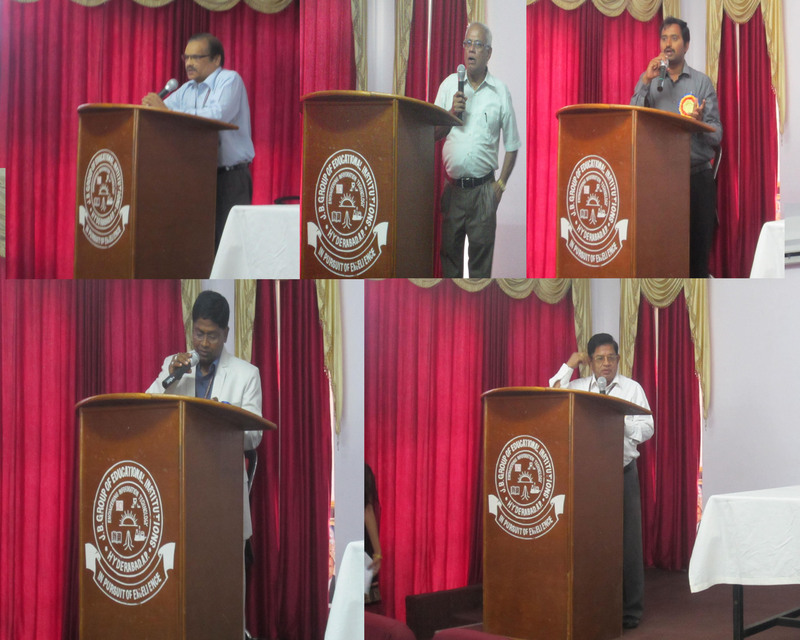 Mr S. Rathna Kumar, Assistant Professor has published the following papers. Power Stability Analysis of Power Grid under PV Integration with STATCOM ISSN No: 2348-4845, Vol No 4, Issue No 3, March 2017. “Design And Simulation Of Dc Inverter To Operate As Power Quality Compensator”. Ms Devika, Assistant Professor has published the following paper. Ms Pavani, Assistant Professor has published the following paper. Power management strategy in Hybrid PV-FC & wind power generation systems by using multi input single control (MISC) battery. International Journal Of Research in computer and communication technology, volume 3, issue 10, Oct – 2014 ISSN Number 2278-5841. 12th July to 15th July 2017 Conducted by IIT Kharagpur. 1st May to 6th May 2017 at JBIET, Hyd. 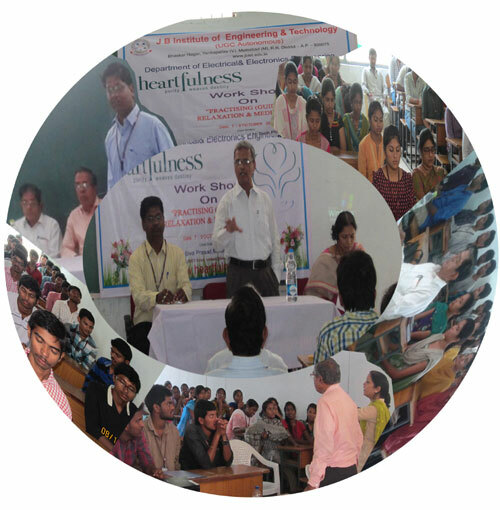 3) Students for personality development of students through community service. 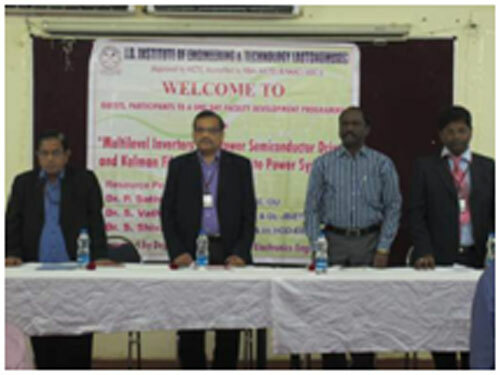 (13671D0701) C.Narasmiha reddy,Dr.s.svathsal “A modified current loop controller for 3-phase power converter connected to a distribution system” ,IJISET ISSN-2348-7968 vol-2issue 10oct-2015. (13671D0702)K.Satish kumar,R.Sureshbabu ,“large power converter for FACTS application by combining SVPWM 3 level NPC VSCS”,ISSN 2394-0921 vol-4 issue 4,2015. (13671D0704) K.Srujan,M.vinod kumar “ A 3 phase UPS system operating under non linear loads with modified SPWM controller”,SJIF vol-2,issue 9,sept 2015. (13671D0705)P.Sowdhamini, Dr.S.Siva Prasad “reconfigurable solar converter: A single stage power conversion PV battery system and a comparision between MPPT techniques,IJISET vol-2 issue 10 oct-2015,ISSN-2348-7968. 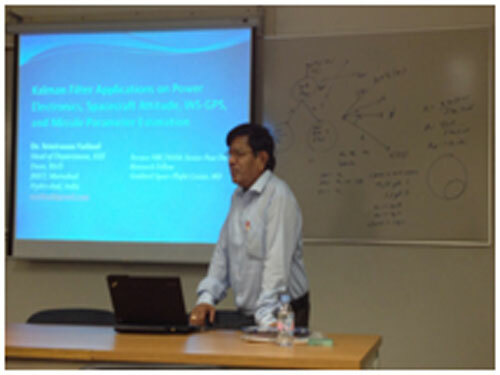 (13671D0706)R.Sukesh kumar,B.chandrasingh , “ Improved active power filter performance for renewable power generation system using SVPWM”,ISSN-2277-6370, vol-4,issue4 2015. (13671D0711)K.Jagadishwarji, M.Vinod kumar, “ A five level space vector pulse width amplitude modulation for a buck boost voltage source inverter”, IJISET,ISSN-2348-7968,vol-2,issue 12dec-2015. 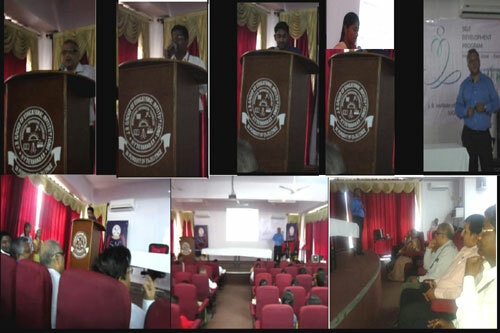 (13671D0712)K.Anusha ,Dr.S.Sivaprasad, “ An enchanced pitch control using fuzzy logic for stability improvement in DFIG based wind energy system”,IJISET,ISSN 2348-7968,vol-2 issue 10 oct 2015. (13671D1003)M.A.Qhuddus khan Atif , ms.Fatima azra, “impact of envelope design on energy consumption in buildings “ ,IJMETMR,ISSN No-2348-4845,vol:2,issue 9 sept,2015. (13671D0707)shireesha reddy, K.Giribabu , “A Novel PFC circuit for reduced switching loss bi-directional ac/dc converter PWM strategy with feed farward control for grid –tied micro grid system,IJISET-ISSN-2348-7968 vol-2,issue 12,dec2015. (13671D0715)P.Satish reddy, M. Vinod kumar , “Improvement of stability of HVDC transmission system using a facts device UPFC” ,IJISET,ISSN-2348-7968, vol-2 ,issue10 oct,2015. 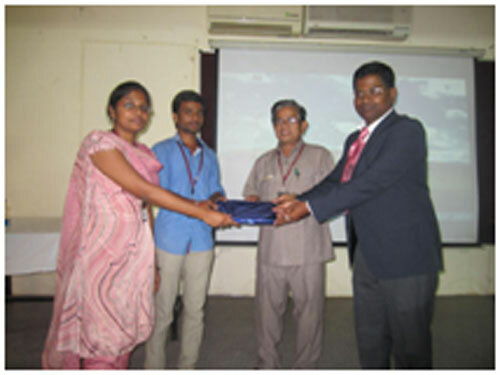 G.Jithendra naidu,K.Pranaykumar reddy, Dr.S.Siva prasad “Piezo Based Electric Power Generation using 3-Dimensional Mechanical Vibrations Produced In Vehicles” International Journal of Electrical and Electronics Engineering (IJEEE) ISSN (PRINT): 2231 – 5284, Vol-2, Iss-1, 2012,pp.11-16. 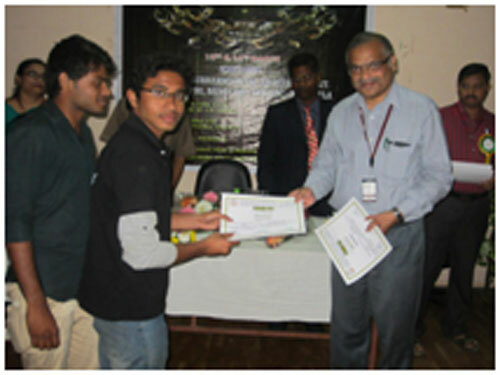 Shakti Chaganty, Dr.S.Siva prasad “Magnetic Resonance Coupling Based Wireless Power Transfer For Contactless Charging Of Electric Vehicles” at International Conference on Electrical Engineering organized by Inter science Research Network (IRNet) , Hyderabad on March 10th -2013 and selected as best paper with Student of Year Award. 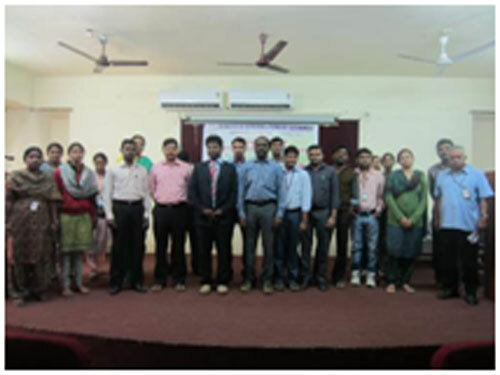 A.V.Sasi Rekha , J.Sindhu, G.Kavya, J.Vani , Dr. S.Shiva Prasad “Control Of Synchronous Generator Based Wind Energy Conversion Systems” International Journal of Electrical and Electronics Engineering (IJEEE) ISSN (PRINT): 2231 – 5284, Volume-3, Issue-1, 2013 pp. 73-78.